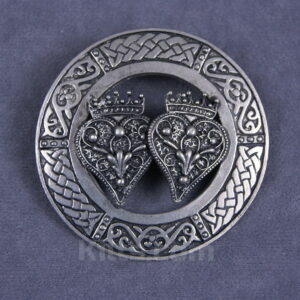 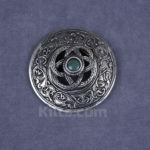 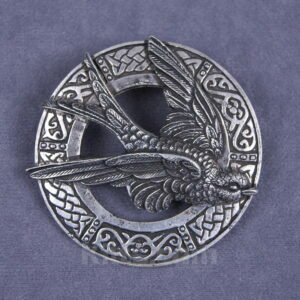 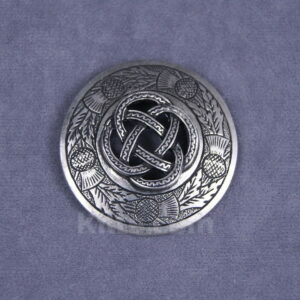 Our Knot and Moonstone Ladies Brooch is hand cast in the USA and is perfect to wear with shawls and sashs. 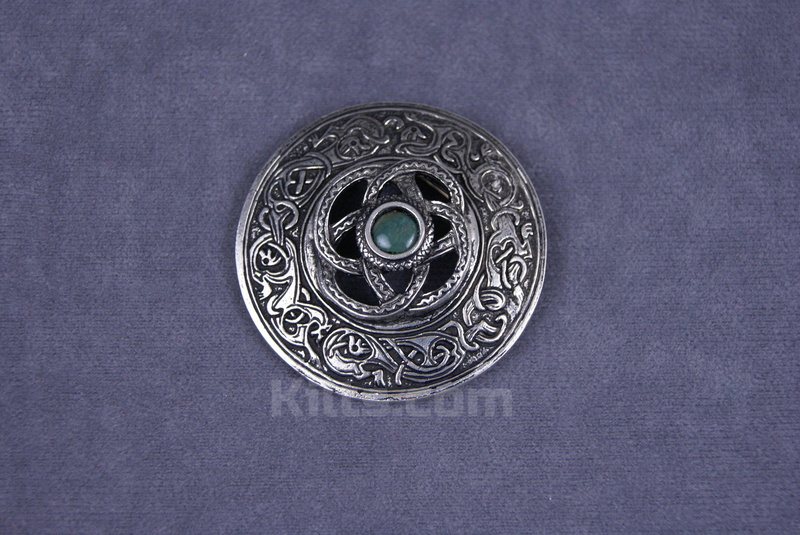 Made of our finest Pewter, this is a stylish and majestic brooch that features a white stone in the middle of the brooch (the moonstone) with intricate knotwork. 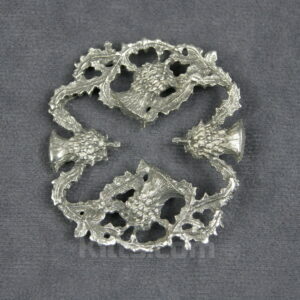 Product Dimensions – It measures 2.2″ in diameter.